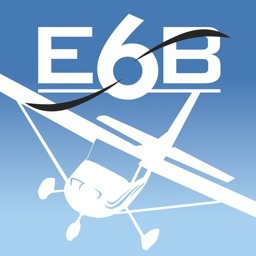 NoseApp E6B by NoseApp Inc.
NoseApp E6B flight computer was designed to take advantage of most of the features present in a mobile device. It has more than 20 functions and 10 conversion types, a calculator, a one of a kind stopwatch, a countdown timer, and a flight information screen. 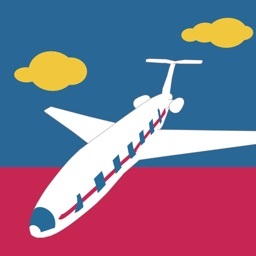 Have you ever felt overwhelmed by the workload in a cross country flight? 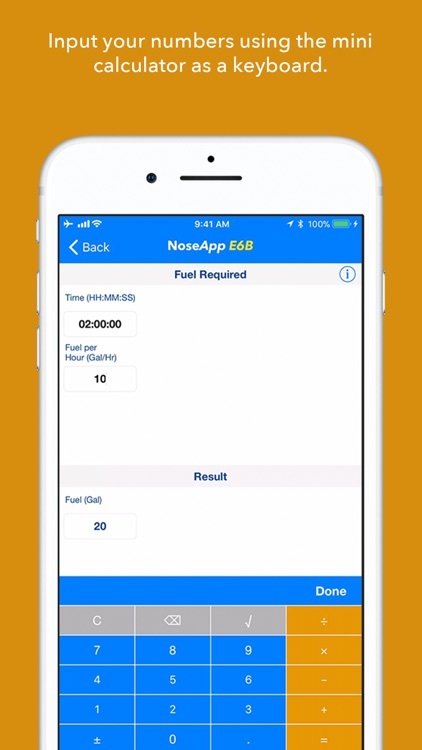 NoseApp E6B can help you. 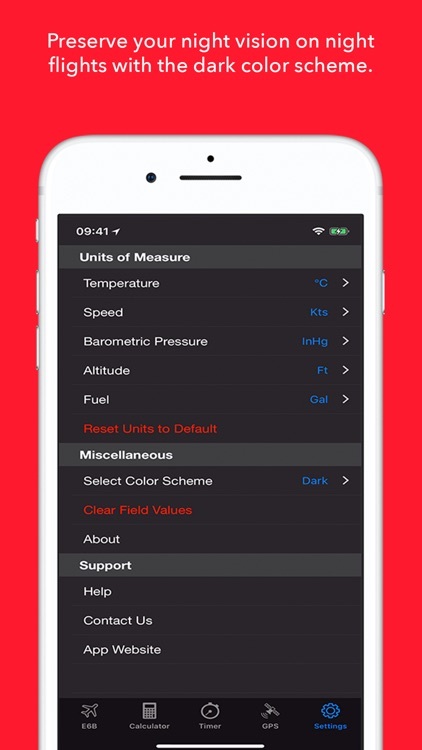 Its timer can record the time, distance and average groundspeed for each flight leg, just by the press of a button. 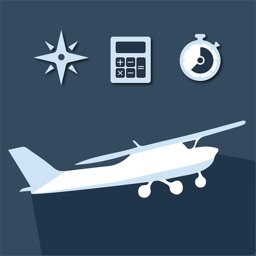 Flight Planning: Planned True Airspeed, Heading and Groundspeed, Leg Time, Fuel required, TAS from Mach Number, Required True Airspeed, Required Calibrated Airspeed, Endurance, and Required Rate of Climb. 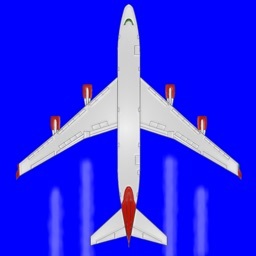 In-Flight Calculations: Actual True Airspeed, Wind Speed and Direction, Groundspeed, Fuel per Hour, Distance Flown, Estimated Time Remaining, Actual TAS from Mach Number, Top of Descent, and Required Descent Rate. Weather: Pressure and Density Altitude, Crosswind, Headwind and Tailwind, Cloud Base and Freezing Level. Weight Shift Calculations: Calculations included in the Canadian Commercial Pilot training material, such as: Cargo to be Moved, Distance to Move Cargo, and New Center of Gravity. NoseApp E6B can do temperature, distance/speed, volume and pressure conversions. 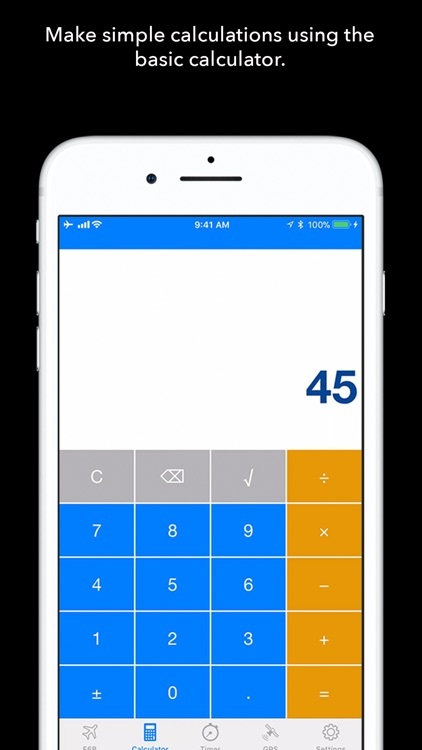 The application includes a basic calculator. Apart from the basic functions, it has a square root function. 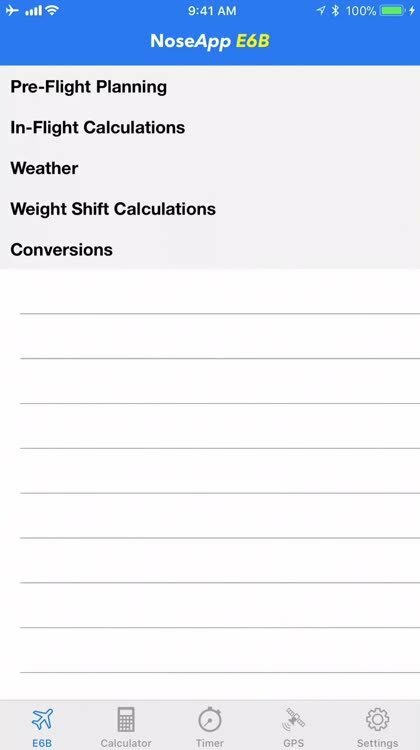 Now you don’t need a separate calculator for radio range calculations. The NoseApp stopwatch is smart. It allows you to split the total time by leg. Not only that, but it can use your device’s GPS to measure the distance of each leg. 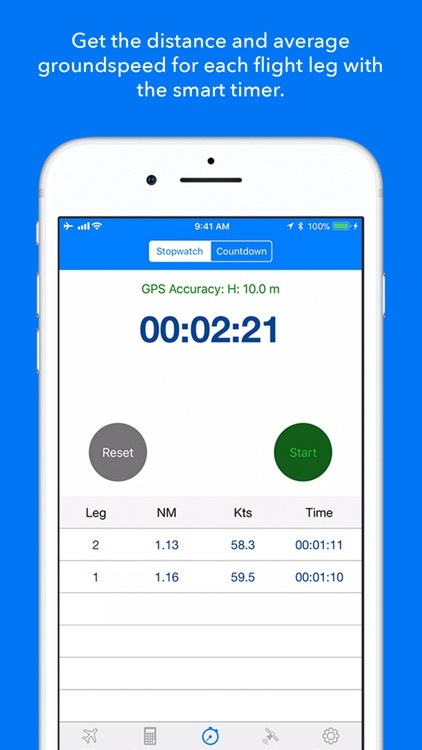 It automatically calculates and displays the average groundspeed for each leg. The countdown timer can count down from a set time and displays a visual alert when the time runs out. 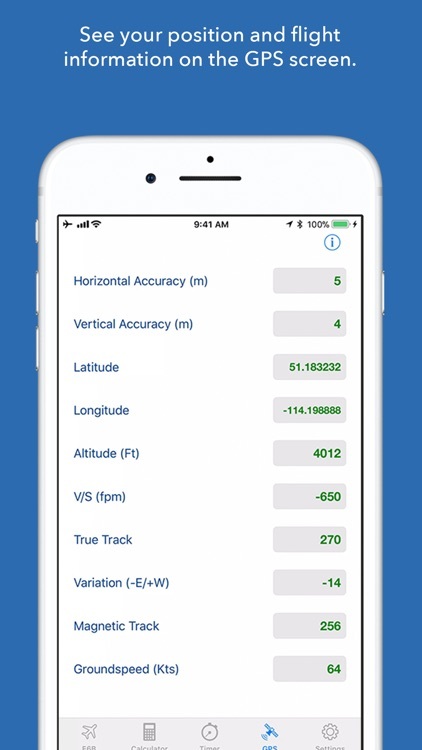 This screen shows the latitude and longitude of the device, the altitude and vertical speed, the true and magnetic track, and the instantaneous groundspeed. The accuracy of the GPS data is also displayed. 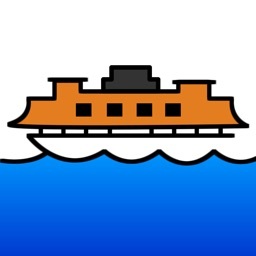 NoseApp E6B supports multiple units of measure for use in different regions. 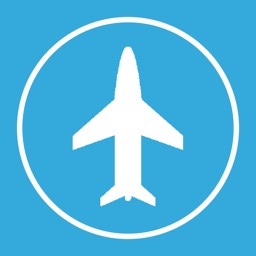 THE APPLICATION RUNS ON A MOBILE DEVICE. THESE DEVICES ARE NOT USUALLY ACCEPTED IN OFFICIAL EXAMINATIONS. THEREFORE, NOSEAPP E6B IS NOT CERTIFIED FOR USE IN OFFICIAL EXAMINATIONS.